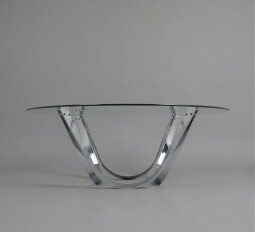 This is a 1960s coffee table designed by the American designer - Roger Sprunger for Dunbar Furniture. 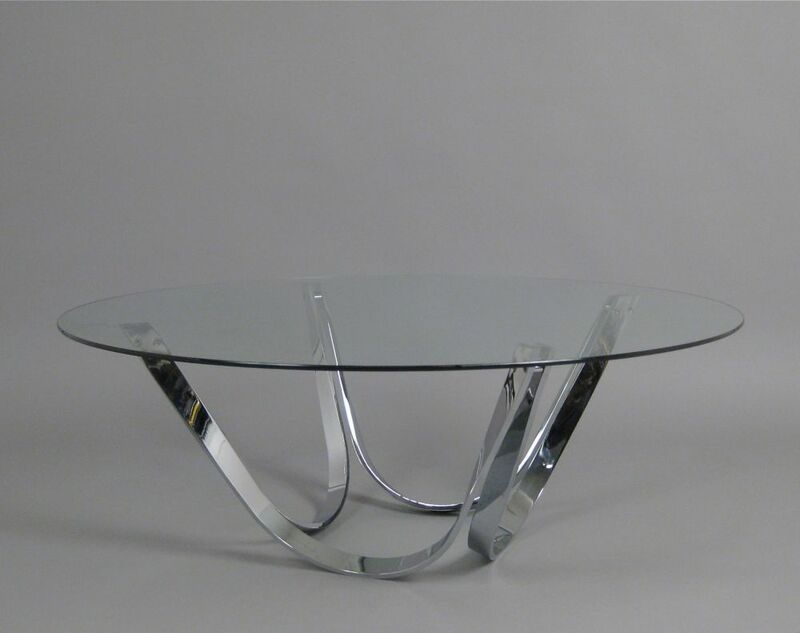 The table is very striking. 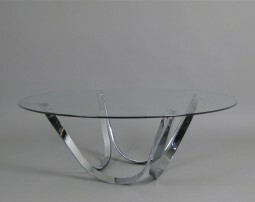 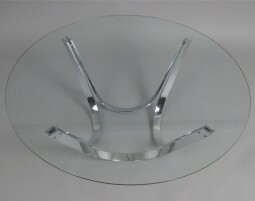 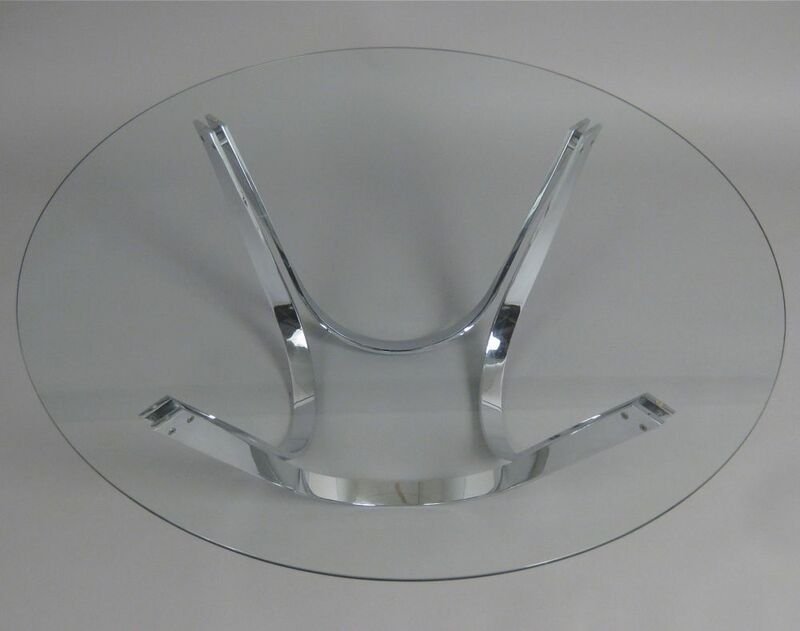 It is constructed using four strands of curved chromed steel which support the top of glass. 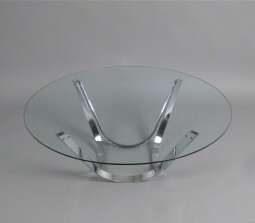 The measurements are 43 inches (109 cm) diameter, 16 inches (41 cm) high.